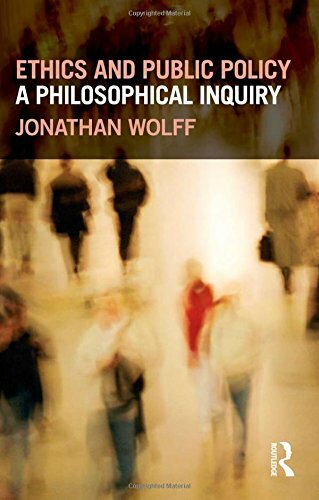 British philosopher Jonathan Wolff chooses five books by thinkers who have shaped the field. He explores the experiences that influenced each writer, saying 'it’s very rare for philosophers to say very much about their history and what brought them to the views they have'. Jonathan Wolff is the Blavatnik Chair in Public Policy in association with Wolfson College. 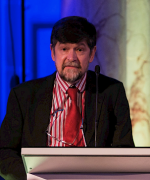 He was formerly Professor of Philosophy and Dean of Arts and Humanities at UCL. Hi work has largely concentrated on issues of distributive justice, with a particular interest in the relation between theory and policy. He is a Trustee of the Responsible Gambling Trust, and writes a monthly column for the Guardian. How did you get into political philosophy? It goes quite a long way back. As a teenager, I was very interested in left wing politics. I remember, age 15 or 16, going up to Tottenham Court Road and Charing Cross Road visiting Collets bookshop and buying pamphlets by Marx and Lenin — some of which I still have and use in teaching. 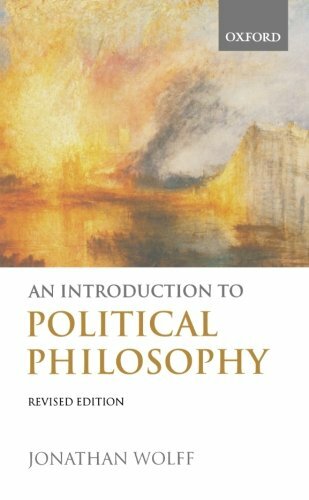 I hadn’t thought of philosophy or political philosophy as a subject of study, but I was very interested in political ideas. I think I had always, in a way, been interested in moral and political philosophy without knowing what I was interested in. As quite a young child, I can remember thinking hard about the question of the justification of punishment. If someone broke the law but sincerely believed that what they had done was morally acceptable, what right could we have to punish them? On the other hand, if they’d done something we thought was terrible maybe we did have a right. I puzzled about that without getting any answers. When I left school I didn’t go to university, I went out to work and ended up working in the legal department of the Prudential Assurance Company. Having thought that my education was over — that I was never going to take another exam or study anything — I found myself being sent off to do day release to take the exam for the Association of Legal Executives. I went to Kingsway Princeton College. One of my teachers was a rather dishevelled, disillusioned barrister who obviously got no work and had become a law teacher. He wore corduroys and had long hair. At one point, we were talking about legal rights and whether or not, for every right, there was a corresponding duty. I got very interested in this and started to try to think up counter-examples. He said, “This is all very interesting but those are philosophical questions, not legal questions. Come and talk to me afterwards — but not in class.” I went to see him and told him I was thinking of going to university. He said, “You ought to go and study philosophy.” I was rather flattered because I had had an idea that I might want to do philosophy without knowing quite what it was. It turned out that I had a number of different interests that coalesced around political philosophy. When I got to university, I thought that when it came to specialising I wouldn’t take political philosophy. I thought it was something you could do on your own, you could just go to Collets and buy the book. I was going to specialise in the philosophy of science, the philosophy of language, or aesthetics. But I found aesthetics much more boring than I expected it to be. It didn’t seem to be about appreciating music and art but about doing some quite technical things. Philosophy of language I just couldn’t get my head round — syntax or semantics, I could never remember which was which. Philosophy of science I did quite enjoy but I didn’t have a scientific background. But I was very fortunate that I had come to University College London, where I still am now. In my first year I went to lectures by Jerry Cohen on political philosophy and found they were much more interesting than most of the other things I was doing. He was a very, very engaging lecturer — very amusing. But also, the texts he was teaching — I felt I could relate to them. I had my own ideas about what was going on in those texts in a way I didn’t in other areas. So, without ever intending to do political philosophy, I got sucked into it out of interest. It’s fascinating that for somebody who began with Marxist pamphlets, the first book you’ve chosen is Thomas Hobbes’s Leviathan. I think it’s fair to say he’s a monarchist and pro-security above liberty. He seems to be the antithesis of Marx. I didn’t choose Hobbes because of the doctrines that he endorses. In fact I’m strongly opposed to virtually everything he says by way of conclusion. Hobbes is brilliant in two ways. One is his style of writing: he is a phrasemaker with very memorable quotations. There are things I’ve read just once that stuck in my head. He’s also analytically brilliant. He is an analytical philosopher, even though the term didn’t exist at the time. He builds things up, he defines his terms, he defines new terms out of the previous terms he’s already defined. You get this incredibly methodical approach. He’s not just interested in the nature of politics, he wants to understand the nature of human beings before he understands politics. To understand the nature of human beings, you have to understand the nature of matter, because human beings are made out of matter. So, you get this incredibly ambitious reductive project. Hobbes is one of the most exciting political philosophers to read. Having said that, I have to confess that I’ve probably only read half of Leviathan. It’s in four books and I was just looking at my copy to see where I stopped making marginal notes. I’ve definitely read through his first two books many times but I’ve only ever skimmed through the third and the fourth. I think this is true for most people that have read Hobbes — although, of course, there are people who tell you the most important parts are at the end. 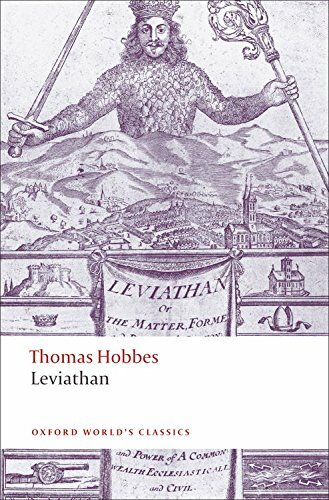 So just to get that clear: if someone were coming to Hobbes’s Leviathan for the first time, you wouldn’t expect them to read the book from cover to cover? The classic passages that we know — that describe the so-called state of nature and how we might get ourselves out of this state of nature — where do they occur? The book is in four parts. The first one is “Of Man”, the second: “Of Commonwealth.” Most of the famous political writing is in part two, “Of Commonwealth.” But there are important sections in part one that you must read. That’s around 150 pages, picking out the relevant sections. To get a good overview of Leviathan, you probably need to read two to three hundred pages out of five or six hundred. That’s true. Hobbes was hugely influenced by the England of his day, which was falling into civil war. His view was that nothing could be worse than a civil war, and he may be right about that. Think about recent civil wars, with members of the same family finding themselves on different sides of the same struggle — not knowing who your friends are, who your enemies are, not knowing where to turn, not knowing where is safe. And, in times of civil war, there is mass emigration. In Hobbes’s own time, it was similar. Hobbes left England before the civil war. It’s because he was absolutely terrified of the prospect of civil war that he argued in favour of the absolute sovereign. He thought only the absolute sovereign could guarantee that we wouldn’t fall into civil war. As civil war is so bad, the cure for it is acceptable even if there would necessarily be limitations to liberty. But he did hedge his bets a little, didn’t he? His notion of the sovereign could be a group of people, not a single monarch. Yes, Hobbes says that one of the defects in the book is his failure to prove that the absolute sovereign has to be a monarch. It could be a group of people. He regrets not being able to finalise that argument. In fact, though, you might think he has — because as soon as there is a group of people, there are potential quarrels and the possibility of civil war breaking out again. So you could say that actually, in Hobbes, there is an argument that we should have an absolute, single sovereign. The way that he shows that we need a very powerful figure overseeing our lives is by imagining what it would be like to be completely outside society. This is what he is most famous for: depicting the state of nature. This is a situation, as you say, outside of society, with no government. Hobbes thinks that without government everyone would be at war with everyone else — not necessarily fighting all the time but hugely suspicious and quite likely defending themselves first before they are attacked. Hobbes depicts this world of mutual suspicion where everyone is so afraid of everyone else that they may well attack. So, there is a war of all against all in self-defence — possibly. 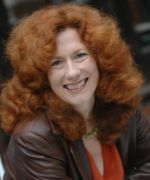 The consequence of this, Hobbes famously says, is that life in the state of nature is “solitary, poor, nasty, brutish, and short.” He contrasts this with life in civil society, which he depicts as one of great pleasure, flourishing production, developed technology, trade, commerce, travel, and civilisation. He thinks the glories of civilisation are only possible if we have an absolute monarch who stops us descending into the state of nature. You may feel that his argument is exaggerated — because in the modern world we seem to have avoided the state of nature without having an absolute sovereign — but Hobbes has an intriguing argument to say that that is not possible. We’re used to the idea of a government with limited power, but Hobbes has an argument that suggests it is a problematic idea. He claims, quite plausibly, that the only way of limiting a power is by having a greater power. How can you limit a power unless you’re more powerful? Therefore there must always be the most powerful power, and what can that be except the sovereign? Hobbes has set us an interesting intellectual puzzle here, because we’re used to the notion of the separation of powers, the split between the judiciary, the executive, and the legislature. This is a commonplace in modern constitutionalism. Hobbes’s view is that that’s a myth. One of those powers must be the greatest. And, actually, when we see regimes crumble, the military seems to take over. That seems to suggest there is a most powerful power in any country, it’s just it may not be used at any moment. Hobbes summarises his whole philosophy with a superb frontispiece illustration. It’s unusual in that very few philosophical ideas are represented effectively in visual form. He has an engraving of the sovereign, but when you look closely, the sovereign’s coat and jacket are made up of other human beings. The idea is the sovereign is made up, it’s a unity of the individuals that make it up. And you’re absolutely right — I can’t think of another political philosopher who’s chosen an illustration themselves for their position. Noel Malcolm, a great commentator and editor of the most recent authoritative edition of Leviathan, has suggested that Hobbes was almost certainly personally involved, working with the illustrator to create this picture of Leviathan — the state composed of all these individuals grouped together into one with a monarch’s head, as it were. That’s very plausible. It would be an amazing illustrator who had read the book, understood the key message, and turned it into an engraving. Hobbes must have had an influence. 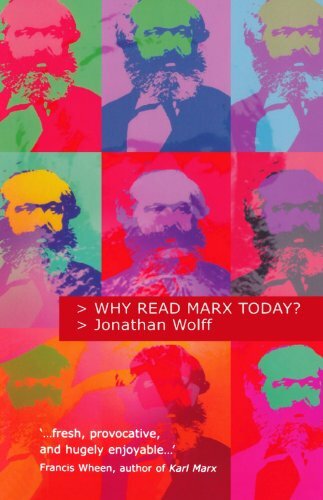 Let’s move on to the second book that you’ve chosen, which is more in line with your adolescent interests in philosophy: Karl Marx’s Early Writings — specifically the 1844 Manuscripts. 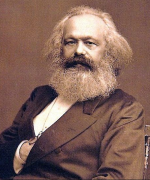 The 1844 Manuscripts were written by Marx in Paris and they are on economic and philosophical topics. They therefore go by three different names: Paris Manuscripts, 1844 Manuscripts, and The Economic and Philosophical Writings. They were written by Marx for himself, never intended for publication — or certainly not in this form. I think some of them are really first drafts with Marx writing in a high state of excitement. Marx had a philosophical training: he wrote his PhD on post-Aristotelian ancient philosophy, on atomism. He wanted to work as an academic but he was an atheist and moved in radical circles, so it was not possible for him to get an academic job. He was steeped in Hegelian philosophy and the philosophy of his day, the Young Hegelians — or the Left Hegelians — who were left-wing critics of Hegel but still followed Hegelian methodology. He found he could survive as a journalist, so he started paying attention to the issues of the day. Even though he was a left-wing, radical philosopher, he hadn’t paid much attention to what was actually going on in his country or elsewhere — or at least, not in the detail that he needed to. For example, he was very exercised by the rights of the Moselle workers to collect fallen timber. The landowners had decided that the peasants could no longer collect their kindling from the forest. This is a perennial theme in development economics: the poor person’s right to collect fallen wood from the forest, and someone deciding that they have to pay for that now, causing huge problems. Under the influence of Engels, Marx also realised that he should pay attention to economic writing. Engels was ahead of him. Engels was writing about economics in 1842, two years before Marx. 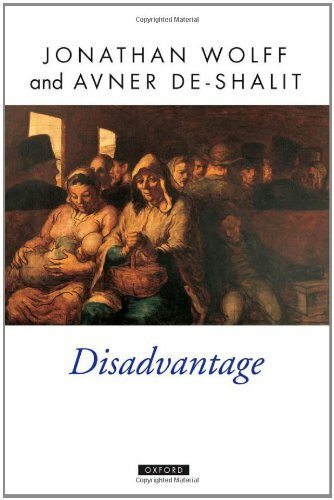 Engels convinced Marx that if he was going to understand the society he lived in, he had to understand economics and therefore read Adam Smith and David Ricardo. Marx was one of the most intelligent people who ever lived, with the most penetrating mind, and a philosophical training. In the 1844 Manuscripts he is exploring the classic works in economics and writing notes as a student as well as copying extracts. There was no photocopier, so you had to copy things out. Some parts are copied, some parts are paraphrased. And there is also Marx’s own commentary. You see him taking Adam Smith’s writings — and the mythology is that Smith is one of the great defenders of capitalism — and Marx finds, in the Wealth of Nations, a whole range of criticisms of capitalism that sound just like Marx. So, for example, Adam Smith argues that the natural rate of wages is the minimum wage — what it costs to keep the worker and his family alive for the day; that labour has become a commodity; that labour is deskilled. Many of Marx’s criticisms of capitalists from the point of view of labour are already there in Adam Smith. Then, as a philosopher, he takes Smith’s ideas and turns them into a type of Hegelian theory of alienation. The idea is that everything we lose as labour in the labour process returns to us in some sort of alien form. As the worker gets poorer and poorer, the worker creates a world rich in commodities owned by other people. More importantly, the worker comes to create a social structure that turns out to be very bad for people in the position of the worker. A worker makes the capitalist rich; the capitalist has a stronger bargaining position, and wages become even lower. The things that are taken from the worker return to dominate the worker and make the worker feel estranged in the world. Marx goes on to talk about private property and Communism and some other themes that he returned to later on in his life. But I think it’s in the 1844 Manuscripts where we see this excitement of Marx discovering and analysing new economic texts, bringing his training as a philosopher to think about those issues, and doing it in a completely private way. His other writings around this time are incredibly florid, full of literary analogies; you can see they’re worked over and over and they’re often overwritten. In much of Marx’s early writings, he was grandstanding. Here he was writing for himself. It’s not easy to read but nearly not as difficult as some of the things he wrote for the public. He kept things relatively simple, and there’s this directness and excitement that makes it a wonderful text. I think you can. You have to look pretty hard, though, because he’s such an accomplished writer. There’s one thing I point out to students when I’m teaching this material. Marx tries to deduce different categories of alienation from each other. Ultimately, what he aims to do is deduce all the categories of economics — rent, wages, commodities, exchange — from the concept of alienation, as a way of showing that the capitalist economy has alienation at its roots. He does this in a Hegelian style. If you’re familiar with Hegel’s writings, you’ll know that Hegel typically begins with a simple concept and from that he deduces other concepts until he generates a very elaborate conceptual framework. Marx, in these writings, was trying to be the Hegel of economics. He thought you could deduce all the central categories of economics just out of the concept of alienation. I think he got halfway through and thought, “This is stupid: the way to understand economics is by empirical investigation rather than conceptual analysis”, and broke off. You almost see Marx maturing as an economic thinker as he’s going through this, going, “Ok, you can be Hegel but where does that get you?” You have to, as Marx will do later, look at statistics, reports, trade figures, and try to understand causal relations rather than conceptual relations. But at this stage of his life, Marx is still writing about economics in conceptual terms rather than more mechanical terms. Moving on to the third book. In contrast to the authoritarian Hobbes and the radical Marx, we have the great liberal thinker John Rawls and his A Theory of Justice. This is, I believe, one of the most read books in academic circles of the twentieth century. Yes, though we have to say what’s meant by ‘the most read’ because if it’s ‘the most read pages as a proportion of the whole’ it’s probably one of the least-read books in political philosophy. Rawls has this intriguing phrase in the preface, “This is a long book, not only in pages.” I still don’t entirely know what that means, but there’s something suggestive about it. It’s 500 or 600 pages of closely printed text. In those days, of course, there were no word processors and writers had less idea how long their works were. Apparently, when Rawls sent it off to the publisher, he imagined it would come to about 200 pages. He was appalled to see he had accidentally written a book that was three times as long as he intended. It’s a strange book. For a beginner in philosophy, it’s hard to see what all the fuss is about. Rawls is not a fantastically stylish writer in an ordinary sense although, in another sense, he is. He’s not a flashy writer, he doesn’t use examples, he doesn’t take you through things step-by-step. He’s a very dense writer. You can read a page and not think very much of it and then ten years later come back to it, having thought about the issue yourself, and see Rawls has completely understood the issue, set out all the possibilities, and shown why only one of them is right. Reading through the first time, without knowing the background, you can’t possibly know all of what is going on. I heard Hilary Putnam once say that you can tell a work of philosophical genius because “the smarter you get, the smarter it gets.” I think this is exactly what happens with Rawls. Yes. Another way of putting it is that Rawls wants you to think about how you would design society if you didn’t know what place you’d play in it. Imagine you didn’t know whether you were going to be a man or a woman, you didn’t know whether you were going to be disabled or able-bodied — Rawls didn’t use these examples but we can extend his method — if you didn’t know whether you were going to be white or black, strong or weak, have film star good looks or be ugly. If you didn’t know any of those things about yourself, how would you like society to be? At one point Rawls says, “Imagine your place in society is going to be determined by your enemy.” How would you like your society to be if your enemy was going to assign you your place in it? You’d think, “Well I wouldn’t want any really bad positions. I’d want to make sure the worst thing that can happen to me is as good as it could be.” That is Rawls’s big idea — that if you were to design society not knowing your place in it, you’d want to make sure the worst positions in society were as good as they could be, therefore — and it’s a big therefore which needs lots of intermediate steps — a just society is one that makes the worst off as well off as possible. This book was published in 1971. What’s was so important about it is that in the 1950s, political philosophy had pretty much been declared dead. There is a preface to a book that supposedly collected together the cream of work in political philosophy, and in it the editor Peter Laslett, who was an important historian, says that for the moment we can declare political philosophy dead. As a way of advertising the papers and the book that you’ve just edited, this is not a great sales pitch, but political philosophy was in crisis because of, first, the legacy of logical positivism, second, and the upset of World War II which demonstrated the limited impact liberal political philosophy had had on human behaviour, and third the rise of Marxism, which reduced political philosophy to mere ideology. Political philosophy lost its confidence and became very introspective. For a long time in the 1950s and part of the ‘60s — and we may be going through a similar period now — the main questions in political philosophy were “How do you do political philosophy? What is political philosophy? What is the subject doing?” Anthony Quinton even said that when we understand what political philosophy really is, we realise that most of Hobbes’s Leviathan is not political philosophy, it’s something else: sociology, or politics. It’s a very peculiar thing to say about one of the absolute, undisputed classics of political philosophy. You might think Quinton must have the wrong definition, if that’s the consequence. But in the ‘60s, political philosophy was inward-looking and rather snotty about the history of political philosophy. There are papers claiming that Locke didn’t understand the grammar of the term ‘sovereignty’, or that Hobbes was confused. You read these accusations but you’re never given the details or told what the right thing is; you’re just told all these other people got it wrong. Hardly anyone was advancing a substantial thesis or a positive methodology, and then Rawls came along. In one way, he was methodologically unselfconscious because he didn’t ask the question ‘How do you do political philosophy?’ In another way, he was incredibly methodologically self-conscious because he laid out the methodology of the original position; of ‘the veil of ignorance.’ It was very exciting because Rawls produced a methodology, and he argued for political principles: what he calls the liberty principle (roughly speaking we should all have equal and extensive basic liberty), the fair opportunity principle, and the so-called difference principle which says we should make the worst off as well off as possible. So there are immediately three types of discussion. One was: are these principles just? A second was: would these principles actually be chosen from the original position? And the third was: is the original position a good way of doing political philosophy? So Rawls drew in people who are interested in political principles, as well as people who are interested in decision theory, and finally people who are interested in the methodology of political philosophy. They all suddenly had something to talk about, and they were all talking about the same thing. Even though this book was written in 1971, Rawls created the world of contemporary political philosophy that we still live in now. Unlike many philosophers, but not the ones that you’ve chosen, Rawls did have a significant impact on how some governments acted. So it has been said. I’ve tried to argue this myself and I’m not sure how completely convinced I am. If you go back to, say, how the civil service operated in the UK or elsewhere immediately after World War II, there was great interest in social justice. 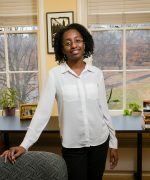 But I think that gave way to a much more technocratic approach, where policies were looked at from the point of view of cost-benefit analysis. This is essentially a utilitarian approach: what type of policy gives us the greatest net benefit for our limited resources? In the ‘60s and ‘70s, certain types of distributional questions were not being asked as a matter of routine — although, obviously, in politics, they were of great public interest. I think once Rawls was understood in the late ‘70s and in the ‘80s, he certainly affected the way in which civil servants — not necessarily governments themselves, but the people who are thinking about implementation of policy — thought. They began to pay special attention to how policies would affect the worst off. Many people on the fringes of government were thinking about Rawlsian themes. Whether, though, historians will be able to document this, I’m not sure. 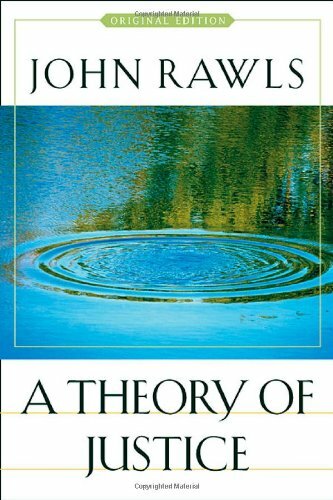 There’s a story I was told in the ‘80s, that the Social Democratic party were considering officially adopting Rawls’s theory as their political philosophy. This was voted down on the grounds that the electorate would not be able to understand it, which may be unfair on both sides and a shame because the Social Democrats could actually have made very good use of Rawlsian ideas. Also striking is that Stuart Hampshire, in 1971 when the book came out, said that the Rawlsian position was a perfect articulation of the ideals of the British Labour Party. There was this idea that Rawls had finally understood what social democracy was. Rawls main innovation concerned inequality. It was common in the ‘40s and ‘50s for politicians on the Left to say that if inequalities exist then they have to benefit everyone. We can allow inequalities but only if everyone is made better off. Rawls modified that and said it’s not good enough that they make everyone better off, they’ve got to make the worst off as well off as possible. It’s amazing to think that after two and a half thousand years of political philosophy, Rawls was probably the first person ever to write that down or say it. 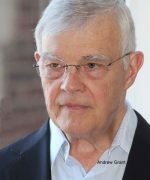 Rawls is one of the most humble and modest philosophers you can think of and virtually every idea in the book he tries to attribute to an earlier thinker. But, as far as I can see, he couldn’t find anyone to pin that on. So we have a truly original movement there from Rawls. Not even Jesus Christ? I believe, Rawls was himself a religious man, wasn’t he? I don’t know enough of the sayings of Jesus Christ, but it’s true that Rawls took religion very seriously. I think the last published work of Rawls — long after he had died — was his senior thesis that he wrote as an undergraduate. It was on a religious theme and he got the highest possible mark for it. He was very influenced by religion as a young person, but I don’t think you would know that from reading his political philosophy. I don’t think it particularly comes through, or at least it didn’t come through to me when I was reading it. Your fourth book, Anarchy, State, and Utopia by Robert Nozick, is a completely different kind of animal from A Theory of Justice. That’s right. When I was studying political philosophy as a first-year undergraduate in 1980, I was told to read parts of Rawls and parts of Nozick. Interestingly, 30-something years later, we’re still telling students to read those books. 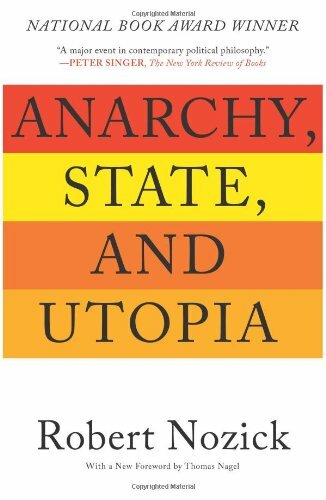 Anarchy, State, and Utopia came out in 1974 — three years after A Theory of Justice. Nozick was at Harvard, as Rawls was, and Nozick is one of the people Rawls thanks for having read the manuscript through. Therefore Nozick was fully aware of what was going on in A Theory of Justice long before it was published. As an undergraduate I was given a reading list, and Nozick’s Anarchy, State, and Utopia was the first book that I decided to read. In my adolescence I had been interested in anarchism, I’d been reading Kropotkin. I was hanging round with some older people, some musicians who had persuaded me to take anarchism seriously, arguing it is a deeper view than the popular press notion of anarchy as chaos. They made ideas of communal self-government very attractive. So when I saw a book with ‘anarchism’ in the title on my reading list thought, this is just up my street. I had thought that anarchism was essentially Marxism without the state: common ownership, collective production, strong fellow feeling and so on. I read through Anarchy, State, and Utopia with an increasing sense of incredulity because here was someone writing about anarchism as the most pure and developed form of capitalism that you could have. To my astonishment Nozick defended a libertarian position rather than a Communist one. Rawls and Nozick were both highly intelligent people — probably among the two most intelligent people alive at the time — both very strong at logical argument, both very good at making distinctions, both clear-minded, brilliant philosophers. But, their writing styles are so different. Rawls writes in turgid prose. For one of Rawls’s later books I tell students, “Make sure you keep a bookmark because if you lose your place you’ll never find it again because the pages just seem to be the same over and over and over again.” Nozick is the complete opposite. I was only meant to read certain passages from one chapter and some sections. But I thought, “This is a book about anarchy, I’ll read it from page one.” I sat down and, though I didn’t read it all in one day, I did read it from start to finish. It may have taken me a few weeks but each morning and each evening I’d read some more. I read it in the way you’d read a novel and its very rare for me, to read a work of philosophy like that. The brilliance of Nozick’s writing, the flashiness of it, the wit, the humour makes it a ‘page turner’. He says he writes in a style that he says, maybe slightly misleadingly, is that of contemporary epistemology. What he means by this is the contemporary epistemology of Gettier and Gettier examples, where philosophers put forward a thesis — a strong hypothesis of some sort — and others challenge it by coming up with some fanciful counterexample. Someone would put up a thesis and you’d think, ‘Can I imagine some circumstances in which that would be false?’ Similarly Anarchy, State, and Utopia is full of these completely stupid examples, designed to show that someone else’s view is false. A lot of them are very funny. One of them is about someone who can only get exercise by throwing books through your open window. The question then is, “Do you have the duty to pay for those books?” — and obviously you don’t. So how can the state force goods on you and force you to pay for them if we wouldn’t allow an individual to do that? You think, good point! Then, in his discussion of vegetarianism — the book ranges over all sorts of topics, anything Nozick was interested in gets a discussion — he says “Well, people who eat meat do get pleasure out of it, I’m not going to deny that.” But, he says, is human pleasure so important that animal suffering is an acceptable cost? Imagine someone who can only get exercise by swinging a baseball bat and unfortunately the only place they can do it is in the vicinity of a cow. Every time they swing the bat, it crushes a cow’s head. Would we say, “The pleasures of human beings outweigh animal suffering?” We wouldn’t. What’s the difference between that and eating meat? In both cases, we’ve got a type of pleasure you can’t get any other way and in both cases it inflicts suffering on an animal. You might not think that’s a great example, you might think there are some differences, but he uses these completely unrealistic examples in order to get you to think about the logical consequences of a position. Maybe you realise you don’t hold the position you thought you did because it has consequences you can’t accept. Maybe you hold a different position, and if so what is it? The idea of this style of contemporary epistemology is to try to work out what your theory is by confronting it with counterexamples — however peculiar — and seeing if you really believe it in the face of those counterexamples. The chances are you don’t, so you have to reformulate and reformulate. That’s the style of Nozick’s writing, and it’s a brilliant read. Again, the book adopts a position that I have very little sympathy with. I wrote a book explaining my lack of sympathy with it but, at the same time, explaining why I thought it was such a wonderful book. I recently wrote a paper on the history of analytic political philosophy, and wrote about the contrast between Rawls and Nozick. Intellectually, you may say Rawls has won the debate — or if he’s not won the debate, at least he’s got a very large number of followers. There are many political philosophers who work in the spirit of Rawls and use Rawls almost as a touchstone or as a contrast of they disagree. And if they disagree with Rawls, they have to explain why. 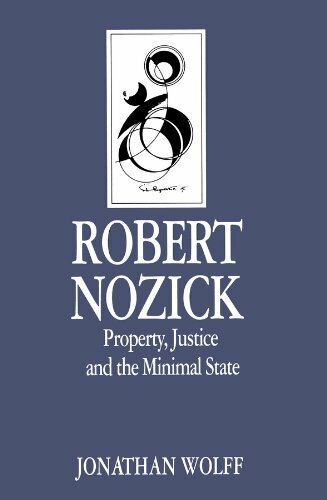 But in terms of how people write political philosophy, Nozick has turned out to be much more influential, for good or bad. So would it be fair to summarise what you’ve just been saying as: Rawls is the serious thinker who really engages with the political arguments, but Nozick is the superb maverick thinker who, arguing from probably false premises, shows what follows from those premises in a startling way, using imaginative thought experiments, and in some ways is a writer who will make you think more than Rawls will make you think? That was exactly the phrase that was in my head: Nozick makes you think. You can come in and read even just two pages of Nozick, if they’re well-chosen, and have to face up to the idea that maybe your deep beliefs have been challenged in an incredibly strong way — or perhaps they have been supported. Either way you know what you’re meant to be thinking about and you can start thinking. With Rawls, it probably has to be explained to you before you can start thinking about it. As a beginning student, there are parts of Rawls that you might be able to form a view about but I think the first thing you’ll want to know is what is this all about? Why is this important? Why has someone given me this to read? Whereas, with Nozick, it’s absolutely clear right away why people would find this engaging. Now, the last book you’ve chosen is by your mentor G.A. Cohen. What’s the title? I should point out that this was written by a quite brilliant — sadly now dead — philosopher who came from a working class background but ended up at All Souls in Oxford. He had a complicated family history. In fact, in the first chapter of the book, Jerry talks about his upbringing. He was brought up in Montreal, from a Jewish-Communist background. Both his parents were workers in the rag trade, as he referred to it. His father was genuinely of working class descent. His mother, though, was from a wealthy eastern European family who, as he puts it, went to Canada and slipped down the class ladder a few rungs. She was a very confident, articulate, intelligent woman who became an activist in the Canadian Communist Party in the Montreal branch. Jerry grew up with Marx in the house in the way some people had Jesus. He went to a school where they were taught in Yiddish half the day, and I can’t remember whether it was French or English for the other half of the day, but he grew up bilingual in French and English with a good smattering of Yiddish that he used on every possible occasion. Eventually, the school was raided by the Canadian Red Squad and closed down. So he had this very unusual upbringing. He was clearly fiercely intelligent as a child, he ended up going to McGill University and then got a scholarship to come to England. He took the BPhil in philosophy at Oxford under the tutelage of Gilbert Ryle but Isaiah Berlin was also very influential for him. At the age of 23, he got a job lecturing here at UCL as a moral philosopher. Apparently, he wanted to take the first year off to go and teach in France but he wasn’t allowed to. I met him in 1980 when he’d recently been promoted to Reader in philosophy on the strength of his first book, Karl Marx’s Theory of History: A Defence. This was something he’d spent about ten years working on. 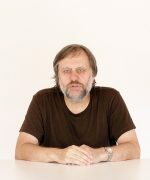 Partly, he said, the motivation for that book was that he grew up believing that Marxism was, broadly speaking, true. He arrived at Oxford and found people were scoffing at it and thought they had refuted it. People like John Plamenatz and H.B Acton had written books that were disparaging of Marxism, to the point where Acton ends one of his books saying Marxism-Leninism was a philosophical farrago, in that by the standards of analytic philosophy, Marxism contradicts itself. That was Jerry’s challenge, and for most of the next ten years of his life he set out trying to explain Karl Marx’s theory of history to show that by even the very highest standards of analytic philosophy, Marxism could be reconstructed. It was a remarkable project, but I didn’t choose it as my book because it’s a slightly dated read now. It’s fighting battles that no longer seem so urgent. So although it has a very strong statement of historical materialism and the arguments for it, not everything in the book is still so fresh. Also, Jerry said a funny thing happened to him after he wrote the book. It was as if he had paid his debt to his childhood. Having written it, a whole range of critics — absolutely top-rate analytical philosophers — started pointing out weaknesses. He was a very honest philosopher, in the sense of taking criticism seriously. He would take every criticism on its merits. If he thought it was no good he would refute it, if he thought it was appropriate as strong criticism he might modify his view or come up with an answer. He wrote later on that it wasn’t that he came to reject the version of historical materialism that he’d defended, but came to the view that he no longer really knew how to tell whether it was true or false. So he moved on to other topics. But, while he was still writing Karl Marx’s Theory of History: A Defence an American philosopher, Gerald Dworkin, brought his attention to a paper published in Philosophy and Public Affairs by Robert Nozick. This was to become the main chapter of Anarchy, State, and Utopia. Jerry Cohen read it and thought, “This is such a strong defence of capitalism, and such a strong criticism of Communism that I’ll have to put my other work aside and spend some years trying to refute Nozick.” So he paused his work on Marx and wrote a couple of very important papers, still used now, trying to defend a much more redistributive Marxist view, using the same premises that Nozick uses. This was Jerry’s tactic: don’t import any premises, use the other person’s premises, and show your view follows from the other person’s premises. This is really remarkable because it’s hard enough showing that your view follows from your own premises, never mind that your view follows from your opponent’s premises! But that’s what Jerry did in his work on Nozick. 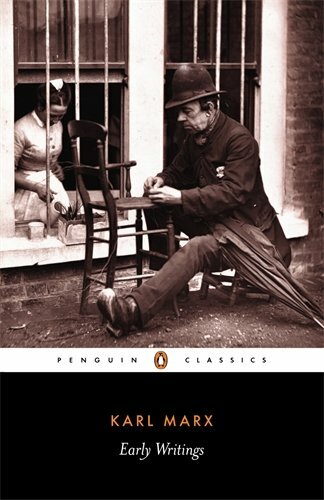 Now the book I’ve chosen, If you’re an Egalitarian, How Come You’re So Rich?, was written when Jerry left UCL and went to work in Oxford as Chichele Professor of Social and Political Theory and a fellow of All Souls’ College. In one way, you might think this is the most bourgeois job a political philosopher could have but it had been held by a succession of radical and semi-Marxist figures. 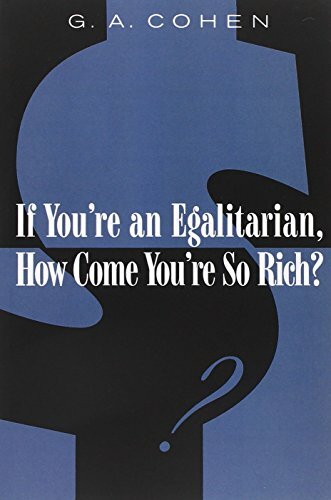 If you’re an Egalitarian, How Come You’re So Rich? is a diverse set of writings on a number of different topics even though there are some common themes. Only very late in his life did Jerry write a sustained book of political philosophy — Rescuing Justice and Equality — which is a work of very deep and detailed analytic political philosophy, and not really an appropriate starting point. You have to understand a lot of the background before you can really understand that book. But two of the chapters in the If You’re an Egalitarian book are earlier versions of what will later appear there and they’re more accessible. Also, you get this wonderful material about Jerry’s life and some fantastic accounts of Marx’s earlier writings. This ties in with the 1844 Manuscripts, for there’s some commentary on that and also some work relevant to Nozick as well. So, you get sections from Jerry’s entire career in there, set around this question which is — as he says — if you’re an egalitarian, how come you’re so rich? Being a professor at All Souls College, he was probably in the top one percent in the income bracket in the country, but he was a leftie so why didn’t he give all of his money away? That was something that would have been put to him. He did give a lot of his money away, but even so his disposable income remained high. Why didn’t he give away more of it? And for other people like him, how can they reconcile their political views with their personal behaviour? There’s a very interesting chapter on that topic. Whether he solves the problem is another matter, but at least he’s engaging with it very honestly. What you get in this book is, again, the writings of an incredibly intelligent person, and his reflections on his unique biography and trajectory. It’s very rare for philosophers to say very much about their history and what brought them to the views they have. We also get some writings on the history of philosophy in Marx and Hegel, and we get foreshadowings of his later work criticising Rawls that will really be the capstone of his career. And it’s a superbly readable book! Again, it’s a book you can sit down and start reading and then wonder where the day has gone. So it is the book of Jerry’s that I recommend to anyone who is interested in finding out what he and his work was like. Sadly, he died about five years ago, but his work is growing, if anything, in stature. I’ve recently read PhD theses where it is claimed that the three leading political philosophers of the contemporary era are Rawls, Nozick, and Cohen (all sadly dead now). It will be very interesting to see how long that lasts and whether scholars, with time, will regard him as one of the leading political philosophers of this century. Certainly while he was alive, there was no one more interesting or entertaining to listen to or talk with.